It seems like every week we discover a young artist – like one still in their teens – who startles us with the power of their voice and their mature songwriting. A few weeks ago, it was Alexa Melo. Earlier this week, we profiled a couple of young artists in Sasha Gurney and Elle Mary. Now add singer-songwriter Cloves. The 19-year old native of Melbourne, Australia is making waves in her homeland as well as in the UK for her smokey, sultry voice. Her debut single, “Frail Love”, is a simple, stripped down piano ballad, and the combination of the gentle ivory keys and Cloves’ magnificent voice creates a feeling of beauty and vulnerability at once. “Frail Love” is also the lead track from Cloves’ forthcoming, debut EP, XIII. Pre-order it at Bandcamp, although this song can be downloaded for free by clicking on the SoundCloud audio above. 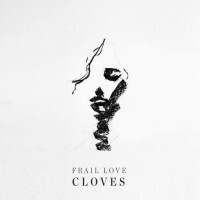 Also find Cloves’ “Frail Love” along with 19 other new singles on the June 19th Edition of the Weekend Showcase, a playlist of new music from around the world.